receive six points on their licence – double the existing penalty. Motorists caught using their mobile twice or accruing 12 points on their licence will face magistrates’ court, being disqualified with fines of up to £1,000. “Addressing the growing problem of smartphone use whilst driving will require a combination of enforcement and education as well as drivers, passengers, companies and individuals taking more responsibility. this is not always reflected in sentencing." 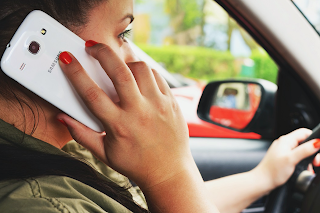 Put your phone away before driving so you won’t be tempted to use it. Make the glove compartment the phone compartment.